Oyuncular: Peri Kerbelai, İsmail Hallac, İbrahim İbrahimiyan, Feriburz Germarudî, Mecid Saidi, Habib Allahyari, Nergis Muhammedi, Meryem Kazımî, Şahin Teslimi, Tayyibe Saffari, Muhammed-Rıza Abbas Necad, Haşmet Aramide, Saadet Nuri, Seyyid Mehdi Musaviyan. Perviz Şeyh Tadi yapımı bu İran filmi, siyonistlerin Filistin’i işgali, ve kendi nesillerini nasıl hunharca yetiştirdiklerini konu alıyor. پنج کیلومتر تا بهشت – Penc Kilometr Tâ Beheşt (Cennet’e 5 km) IRIB TV3‘ün Ramazan 2011’de yayımladığı, 24 bölümlük güzel bir dizidir. Ailece izlenilebilecek çok güzel bir dizi. Kesinlikle tavsiye ederim. The Persian poets called love the “elixir” (iksir). The alchemists believed that there existed a material in the world which they called the “elixir” or “the philosopher’s stone” (kimiya) which could change one matter into another matter, and they searched after this for centuries. The poets took over the use of this terminology and said that the real “elixir” which has the power of transformation is love, because it is love which can transmute a substance. Love, absolutely, is the “elixir” and has the properties of the philosopher’s stone, which changes one nature into another, and people also are different natures. People are mines, like gold-mines and silver-mines. It is love which makes the heart a heart, and if there is no love, there is no heart, just clay and water. ..Love makes the heavy and lazy nimble, cunning, and even makes the slow-witted astute.. 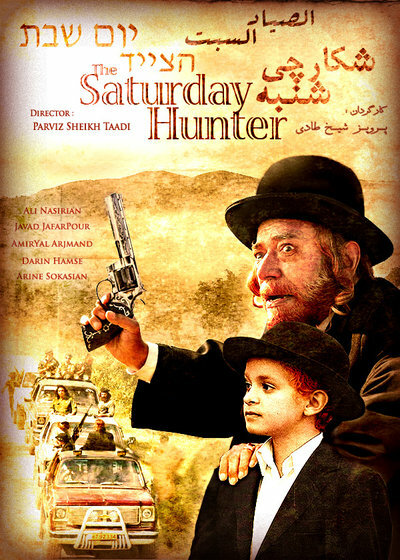 ..It is love which turns the miser into a benefactor, and an impatient and intolerant person into someone with endurance and tolerance..
Iranian film by director Homayoun Assadian, where a young student of religious sciences must turn his knowledge about Islam into action, when his wife is diagnosed with multiple sclerosis (MS). Assadian mixes the daily life demands in the Tehran metropolis, with the deepest and most prioritary teachings of the Islamic religion, through the language of Hafez and Mowlavi (Rumi) poetry. İslami İran’ın Hz. 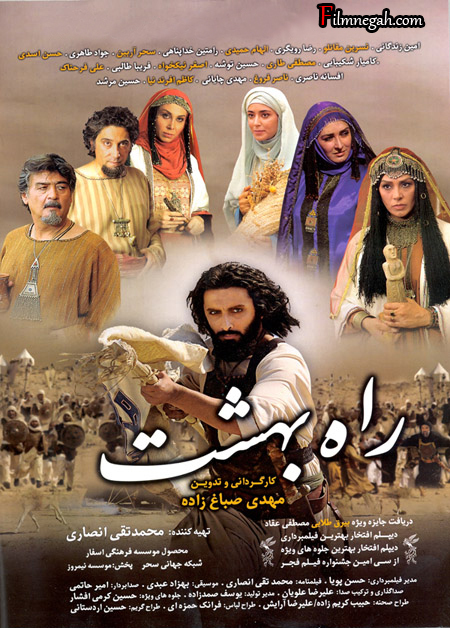 Mus’ab bin Umeyr’i (r.a) anlatan filmi, راه بهشت Râh-ı Beheşt (Cennet Yolu) (2011).